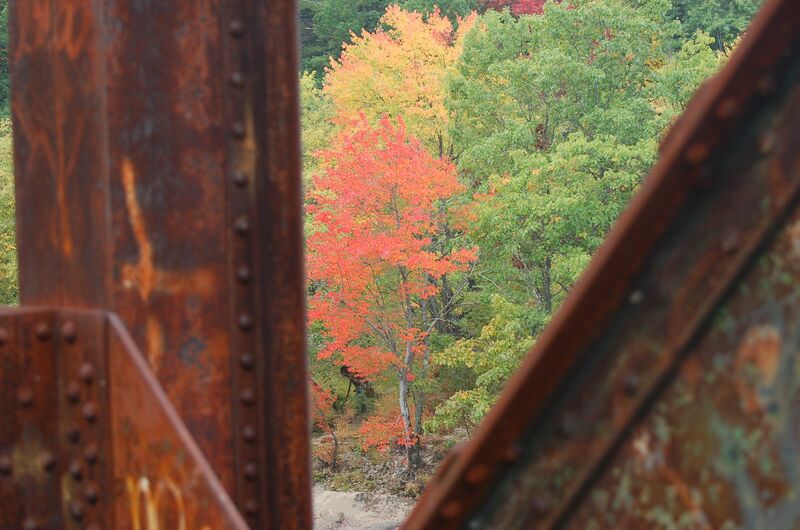 Shooting the Merrimack River in Manchester from a rusty rail road bridge. A lone fisherman amid the rocks. 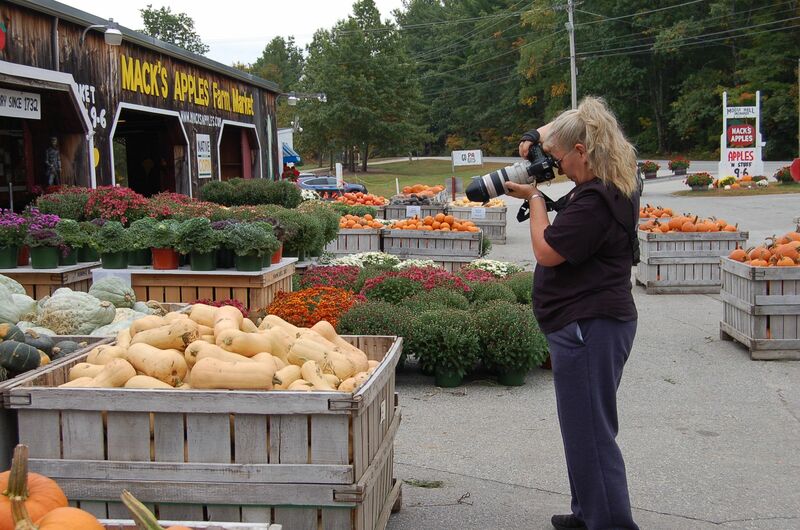 On to Mack’s Apples which, though it disappointed in its lack of “Pumpkin People” the sedentary subjects gave great delight to photograph. So many shapes, sizes and colors. One of those 30 lb. 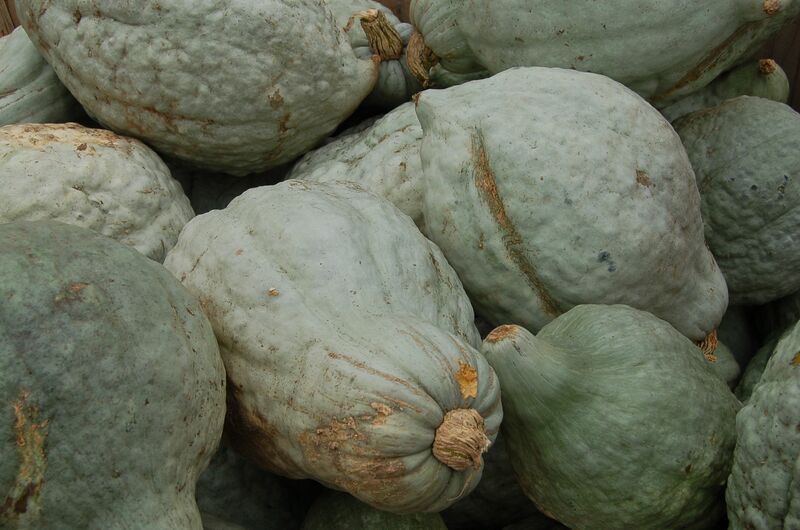 Blue Hubbard squash would last me the entire winter, even if I ate it daily. 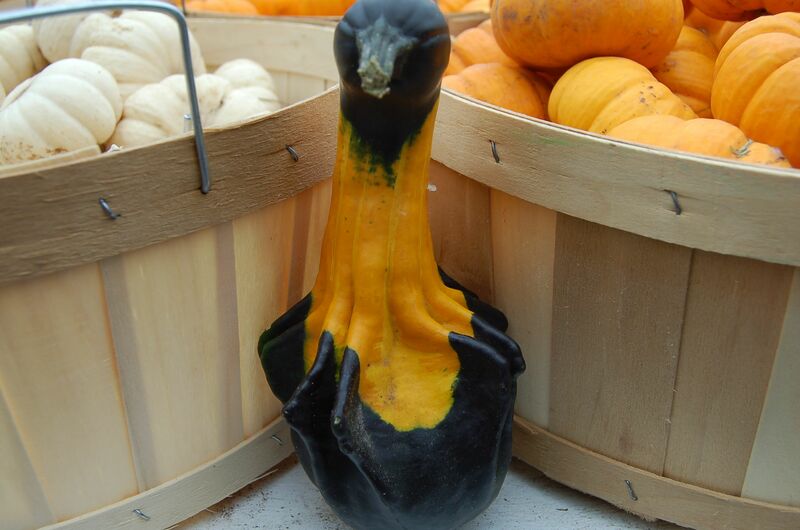 This cheeky little gourd just had to come home with me. This entry was posted in Photo Essay. Tagged Mack's Apples Londonderry NH, Manchester NH, Merrimack River, New England in the fall, photo blogging, Photo Essay, Touringnh.com. It was a great day to be out shooting with you! 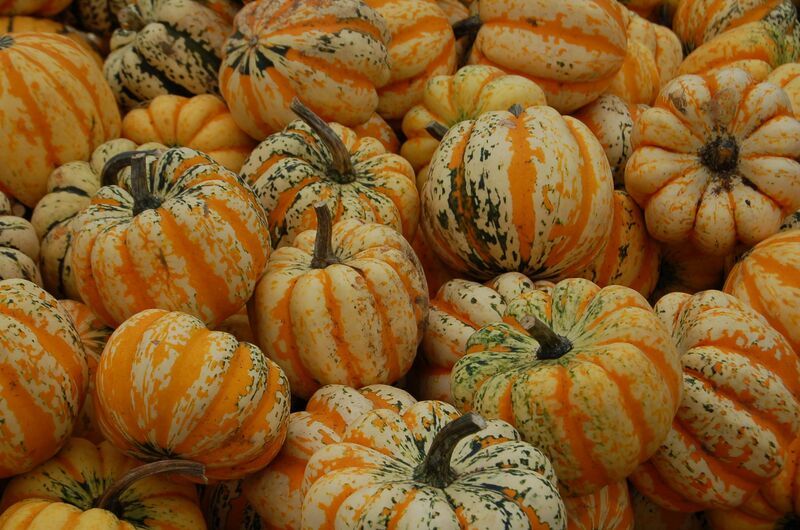 I don’t think I’ve ever eaten blue hubbard squash. They certainly are large enough to feed a small army! 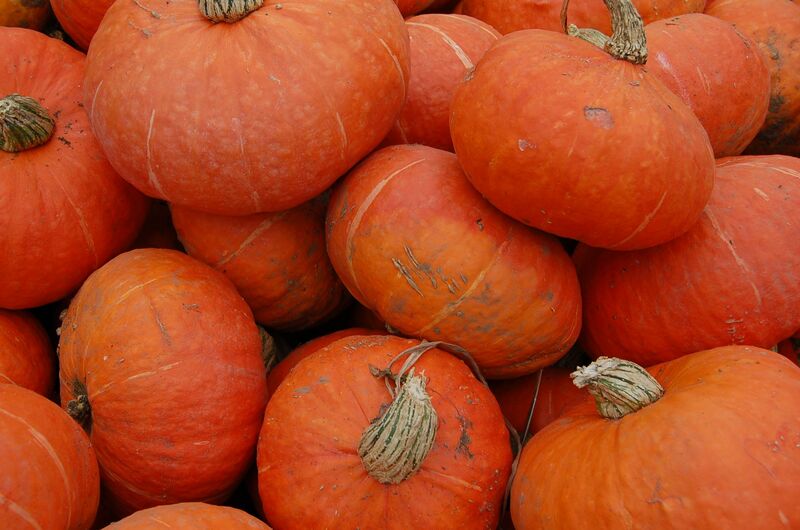 Love all those pumpkin shots! It was an overcast day so the colors were perfect! Thanks! Nice shot of the turtles! 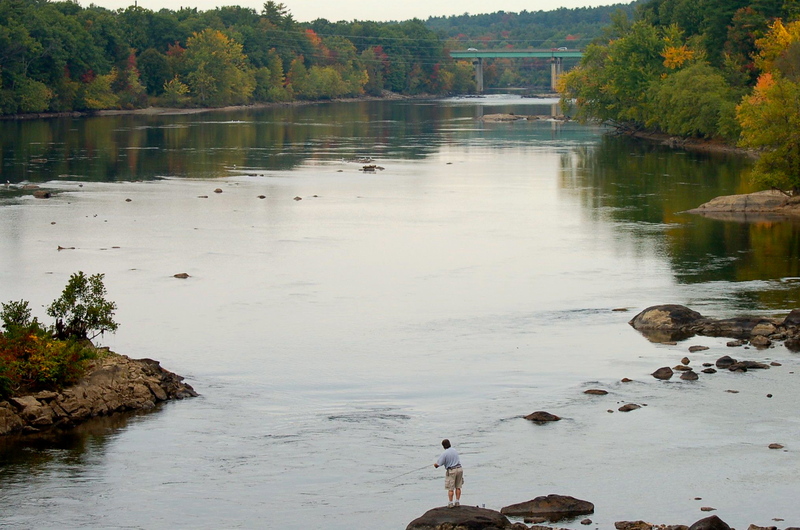 The Ashuelot was once so polluted that you couldn’t stand the smell in the summer, but now they’re catching trout in it and eagles are fishing it. Still, I’m with Laura. After seeing it that way I’d have a hard time eating any fish from it. I’m glad you’re enjoying your time off. 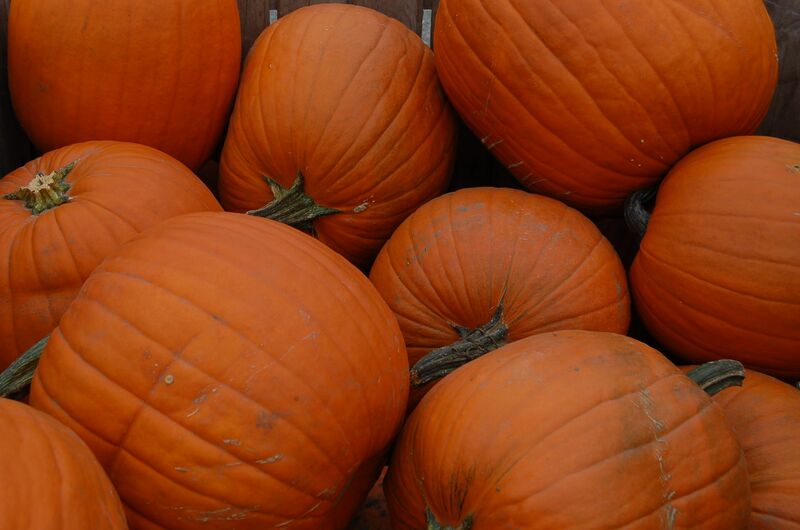 What beautiful pumpkins.